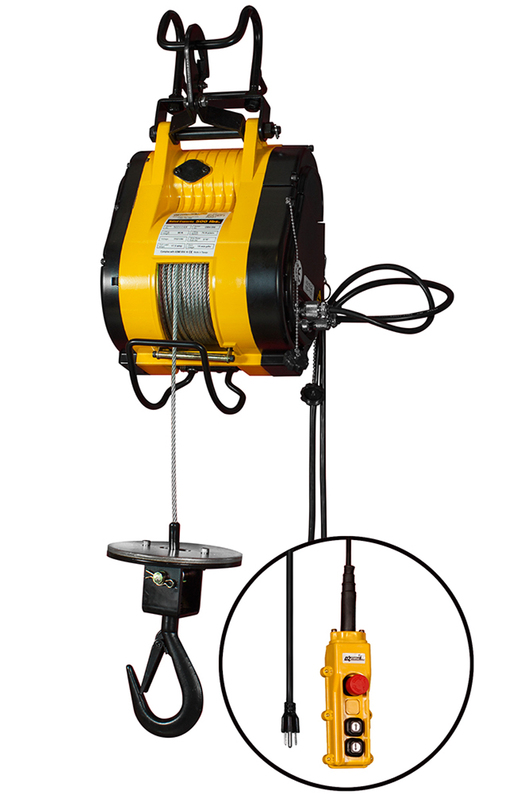 The OZ Builder’s Hoist is designed for commercial building sites, as well as various construction workplaces, such as warehousing, buildings, storage areas, and factories in general. The OZ Builder’s Hoist is made from lightweight yet sturdy materials that allow the hoist to be easily mounted onto any device with little effort. 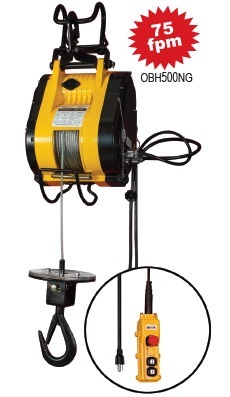 The builder’s hoist is easy to use, featuring an intuitive, ergonomic design. In addition, this builder’s hoist is guaranteed to last. Made by OZ Lifting Products, the hoist is backed by the OZ guarantee, so you can rest assured that it meets all quality control standards and is of the highest, most-durable quality. All OZ Lifting Products, including the OZ Builder’s Hoist, are top-of-the-line when it comes to safety, durability, performance, and customer satisfaction. Every builder’s hoist is triple tested at the factory to 25% over the rated capacity, so our customers can be safe in the knowledge that these hoists will work the first time, and every time after that. In addition, OZ Lifting Products has exceptional customer service and technical support, so should any issues arise, they’ll be treated in a timely and helpful fashion. 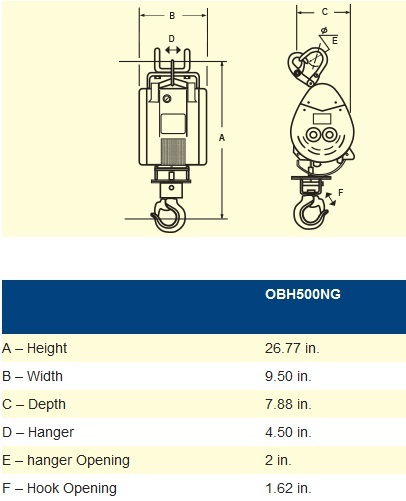 The OZ Builder’s hoist not only features exceptional quality control standards before being sent out of the factory. 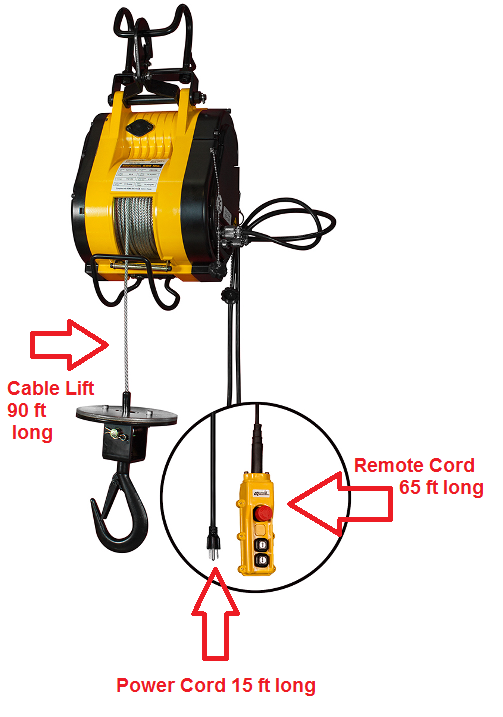 Each feature of the hoist, from the double safety brake to the single phase power supply to the hand held control pendant with a safety switch, is built to ensure the safety and security of not only the builder’s hoist itself, but also of the materials you are hoisting and the employees overseeing the work. In this way, OZ is able to ensure that your workplace is safer and more secure. You can also choose the 1,000 lbs Beam Trolley with an Optional Hanger to be able to hang and move the hoists across beams. For more details, have a look at the owners manual. Also available in a 1000lb capacity.